I'm not the first to compare bicycles with flight. 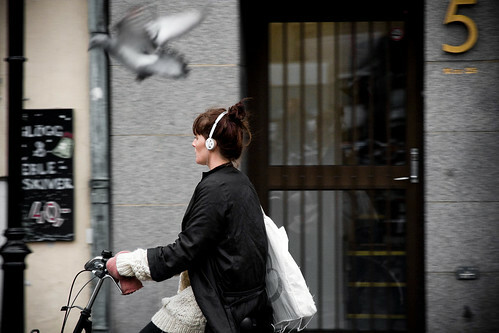 But I'm the first person EVER to capture a photograph of a blurry pigeon in flight with a cycling Copenhagener with white headphones and one glove on. Ha. There should be a prize. Perhaps the other glove? Pity the bicycle isn't the worlds most popular brand - Flying Pidgeon.